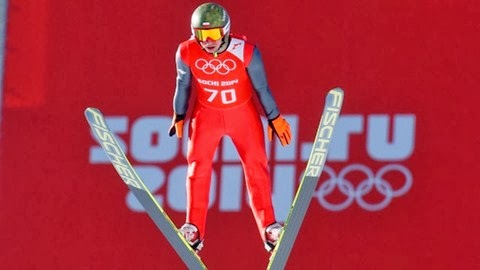 Catholic News World : #BreakingNews Catholic Olympic Athlete wins 3rd Gold and Proclaims His Faith - Polish Hero Kamil Stoch - SHARE! #BreakingNews Catholic Olympic Athlete wins 3rd Gold and Proclaims His Faith - Polish Hero Kamil Stoch - SHARE! Kamil Wiktor Stoch (born 25 May 1987 in Zakopane) is a Polish ski jumper. He won Gold twice at the 2014 Olympics in Sochi and has won Gold again in Korea in 2018. On January 26, 2013 he became the joint Polish ski flying record holder with a jump of 232.5. "I always make a Sign of the Cross before my jumps. Since I was little. It is not because I am afraid, but it is a symbol of faith. Every jump I dedicate to the Lord God. I am not ashamed of that." "I would like to thank the Lord God for everything that has occurred and everything that will occur in the future." Stoch said, "When something does not go right, I put myself under the protective wings of the Lord God. Then I know He is next to me, I feel it. I pray that none of the athletes be harmed in our competitions. That I will know how to be joyful in victory and with dignity accept defeat. I thank the Lord God for everything, because I owe everything to Him." He cherishes the message of the late Pope John Paul II: "You must demand of yourselves even when others will not demand it of you." He also proclaimed: "I believe in the following rule 'If God is in first place, then everything is in its right place.' Everyday I feel the presence and help of God. That I wake up in the morning and have strength and health to do what I do, as well as joy and satisfaction that it brings me, must come from the Lord. God always helps me, he puts on my road people of kindness. I thank the Lord God for all the difficult moments, because after them I become stronger. I believe, that if a person works hards, believes in what he is doing, has a positive outlook on the world and trusts in God, then there are no impossible things! As long as you are fighting, you are victorious."